We have tested dozens of different combinations of nitromethane and special formulated Synthetic / Castor oil blends to end up with the ideal fuel for the competition driver! 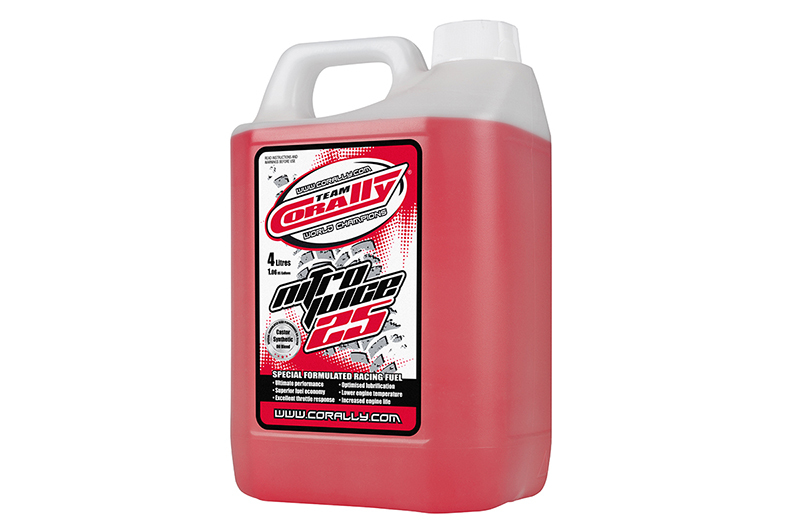 The special formulated Synthetic / Castor oil blend feature very low viscosity and flow through the carburetor with extreme efficiency, allowing the nitromethane to release maximum power and torque for each of the TC Nitro Juices. Our engineers and top drivers have spent numerous hours to determine the best-performing race fuels. Their input has given us the ability to provide a fuel that is perfect for the TC Etor 21 engines as well for all other types and brands of racing engines and tuned pipes. The TC Nitro Juice Racing Fuel blend is formulated for more power, maximum speed, extra cooling, longer runtime and easier tuning compared to all other racing fuel brands. Experienced racers will find the TC Nitro Juice to be extremely efficient with up to 10% longer run times compared to leading race brands giving you the competitive edge in pit stop strategy.